Former Federal Reserve Chairman Ben Bernanke reported that the $182 billion bailout of the American International Group made him angrier than anything else in the recession. Bernanke said that AIG took risks with unregulated products like a hedge fund while using cash from people's insurance policies. 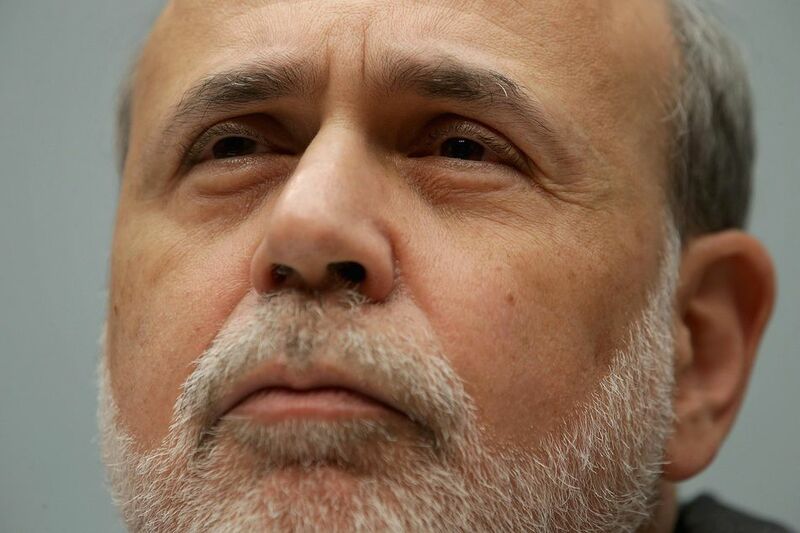 Bernanke added that the government had no choice but to bail it out. Its demise would have created the same kind of economic collapse that occurred when Lehman Brothers went bankrupt in September 2008. Fortunately, the long-term cost of the bailout was much less than the initial payout. Taxpayers made a $23 billion profit when the Treasury sold its last shares of the insurance giant. How did a boring, ultra-safe insurance company become one of the largest bailouts in the 2008 financial crisis? AIG had become a major seller of credit default swaps in an attempt to boost its profit margin. These swaps insured the assets that supported corporate debt and mortgages. If AIG went bankrupt, it would trigger the bankruptcy of many of the financial institutions that had bought these swaps. AIG was so large that its demise would impact the entire global economy. For example, the $3.6 trillion money-market fund industry invested in AIG debt and securities. Most mutual funds owned AIG stock. Financial institutions around the world were also major holders of AIG's debt. AIG's swaps on subprime mortgages pushed the otherwise profitable company to the brink of bankruptcy. As the mortgages tied to the swaps defaulted, AIG was forced to raise millions in capital. As stockholders got wind of the situation, they sold their shares, making it even more difficult for AIG to cover the swaps. Even though AIG had more than enough assets to cover the swaps, it couldn't sell them before the swaps came due. It left it without the cash to pay the swap insurance. On September 16, 2008, the Federal Reserve provided an $85 billion two-year loan to AIG to prevent its bankruptcy and further stress on the global economy. In return, the Fed took ownership of 79.9 percent of AIG's equity. That gave it the right to replace management, which it did. It also had veto power over all important decisions, including asset sales and payment of dividends. The bailout occurred exactly one day after U.S. Treasury Secretary Henry Paulson said there would be no further Wall Street bailouts. That move forced investment bank Lehman Brothers into bankruptcy. It came one week after the government took over Fannie Mae and Freddie Mac. It was six months after the Fed bailed out Bear Stearns. Later that week, Paulson and Bernanke asked Congress for a $700 billion bailout to rescue all other banks. In October 2008, the Fed hired Edward Liddy as CEO and Chairman. His job was to break up AIG and sell off the pieces to repay the loan. But October's stock market plunge made that impossible. Any potential buyer needed all its cash for its own balance sheets. Meanwhile, Liddy had to safely unwind billions in credit default swaps. He used $62 billion of the Fed's loan. On October 8, 2008, the Federal Reserve Bank of New York agreed to lend $37.8 billion to AIG subsidiaries in exchange for fixed-income securities. On November 10, 2008, the Fed restructured its aid package. It reduced its $85 billion loan to $60 billion. It created two new limited liability companies called Maiden Lane II and Maiden Lane III. The FRBNY loaned $22.5 billion to Maiden Lane II in exchange for mortgage-backed securities. It loaned $30 billion to Maiden Lane III in exchange for collateralized debt obligations. The $37.8 billion loan was repaid and terminated. At the same time, the Treasury Department purchased $40 billion in AIG preferred shares using funds from the Troubled Asset Relief Program. The funds allowed AIG to retire its credit default swaps rationally, stave off bankruptcy, and protect the government's original investment. On March 2, 2009, Treasury committed another $29.84 billion to AIG. These changes made the total bailout package $182 billion. On March 2, 2009, AIG reported the largest loss in corporate history. It had lost a record $61.7 billion in the fourth quarter of 2008. As a result of AIG's loss, the Dow fell almost 300 points to close at 6,763.29. That was the lowest close since April 25, 1997, when it closed at 6,738.27. It was also lower than in the previous recession, which was 7,197 on October 9, 2002. The Dow was down over 50 percent from its all-time high of 14,164 points, reached on October 9, 2007. Also, investors were spooked that President Obama's economic stimulus package was not large enough. Citigroup requested a third installment of government aid. Warren Buffet's Berkshire Hathaway posted its worst book loss in its history. After reporting this loss and taking the bailout, AIG paid $165 million in bonuses to its executives. People were outraged. There were even death threats issued against AIG CEO Edward Liddy. But these were not merit bonuses to reward the executives’ performance. They were retention bonuses. The AIG employees were asked to stay and safely unwind the credit default swaps, whose markets had disappeared. These derivatives were so complicated that no one else understood them. They were also time sensitive. It took the same level of sophistication to get out of the mess safely that it took to get into it. Letting these swaps fall apart could have cost the U.S. government more than $165 million. Edward Liddy didn’t need monetary motivation to clean up the mess. The Fed hired him for a salary of $1. He successfully supervised a difficult strategy that safely reduced many of the outstanding credit default swaps. This protected your ownership in the company as a taxpayer. It also protected your retirement portfolio, since many mutual funds and even money market funds had invested in AIG's swaps. In December 2012, the Treasury Department sold off the last of its remaining shares of AIG. In total, the government and taxpayers made a $22.7 billion profit from the AIG bailout. That's because AIG was worth a lot more in 2012 than in 2008. AIG investors, led by the State of Michigan pension, accused the company of misleading shareholders about how risky the credit default swaps were that it issued. AIG agreed to pay $970.5 million to investors who bought AIG shares between March 16, 2006 and September 16, 2008. This was one of the largest class-action settlements from the 2008 financial crisis. On September 29, 2017, the Financial Stability Oversight Council voted to remove AIG's designation as too big to fail. The Council was created by the Dodd-Frank Wall Street Reform Act to regulate financial firms that could affect the entire industry. One reason was that AIG became more committed to working with regulators to reduce risk. Another reason was that the company shrank to half its size since 2007. Most important, AIG returned to its traditional insurance roots. It focused on property-casualty insurance. It also sells life insurance, annuities, and home and car insurance. The decision reduced AIG's operating costs. It didn't have to comply with as many regulations. AIG is one of the world's largest insurers. Most of its business is general life, auto, home, business, and travel insurance, as well as retirement products like fixed and variable annuities. It got into trouble when it moved beyond its traditional insurance business. The Financial Services division also got into aircraft and equipment leasing, capital markets, consumer finance, and insurance premium finance. The Asset Management operations provided institutional and retail asset management, broker-dealer services, and institutional spread-based investment business. As a result of the crisis, AIG's employee base fell from 116,000 in 2008 to 56,400 in 2016. It is cutting costs and selling assets to simplify and become profitable again.